RedmiY1 and the Y1 Lite are smartphones from the Xiaomi family Featuring a camera of 16 MP together with LED Selfie-light specializes in stimulating the effects of natural light resulting in more vibrant and sharper self portraits it also includes a Beauty 3.0 feature that though it does preserve facial details at the same time it also increases the clarity and effectiveness of the pictures. You can Buy Redmi Y1 at Amazon on 15 Novmber at 6PM Hurry Up !! These smartphones need good back covers which suit their own elegance and beauty. Get FREE Discount Coupons Save on 100+ Brands Likes Flipkart Amazon Paytm OYO Jabong Make my trip when you shop at via Paisawapas.com they get commission for the sale generated and they pass on this commission to the buyer as cashback. 1. Brace or Redmi Y1 / Redmi Y1 Lite / Xiaomi Redmi Note 5A Premium Flip Cover Leather Case | Inner TPU | Wallet Stand Up to 20% Cashback on all purchases. 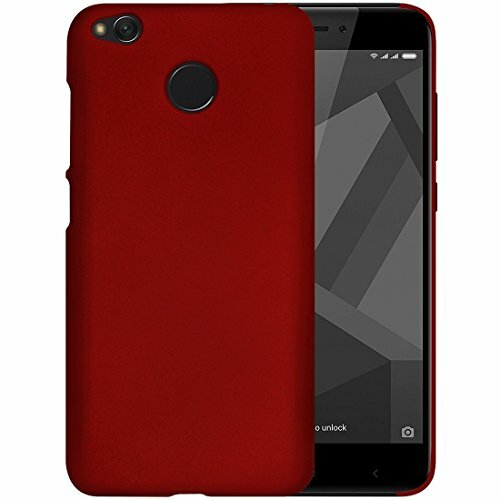 This Redmi Y1 Lit Premium Flip Cover Leather case 2 in 1 Bracevor Rugged Armor Hybrid Kickstand Case has a raw bold look.The interior is made of soft silicon, which acts like a shock absorber and the rugged outside is made of high-quality special polycarbonate as it has to shield the device from bumps and fall Hybrid casing helps in keeping it light weight.To ensure easy handling in daily life and to add an extra grip there is an anti-slip texture There is a fold able kickstand with a lock which makes viewing easy and stable. All ports and functionality are easily accessible due to perfect cut outs. This cover/case is easy to install by detaching the outer case first, then slipping the phone gently in to fit in with all sides and buttons and after this put the outer cover so that the device is nicely covered and secure. AS we know the Brand is Braceover and the seller is Amazon it gives 62% discount and the cost is fixed at INR 299.cashback from paisawapas.com. The ZYNK CASE FLIP COVER FOR XIAOMI REDMI Y1 BLACK is made of silicon and protects the phone from damage. 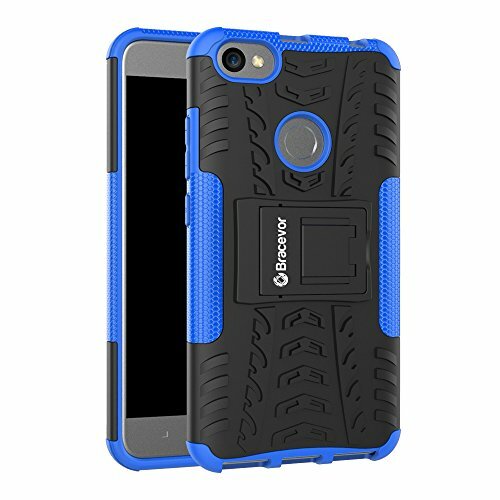 This case is soft in texture and is made of material which is durable .The case is light weight and its application is very easy. The specifications of this case are as follows Premium quality, it fits perfectly on the device its easy to handle as it is light weight easy to apply and has a unique ultrathin thickness. Sold for INR 299 on Amazon. BESTTALK Back Cover for Redmi Y1 Lite the rugged Hybrid case as if inspired by the Miltary. It has a rugged outer covering made of polycarbonate layers which feature a grenade molded design offering a surplus protection. The inner layer is made of glossy and matte TPU and this gives a very captivating effect. The layers give the device a shock absorbing design which can tolerate even the worst of falls and also durability. It has a collapsible stand. Brand: LOFAD CASE | Sold by: Flipkart actual price INR 799 discount 71% selling price INR 299. If you want a cover that fits the device perfectly then LOFAD CASE Back Cover for XIAOMI REDMI Y1 is what you are looking for. It wraps itself around the device perfectly so that no bumps hurt it and no scratches make a dent in its beauty. The case provides so much clarity that the original design is visible and the back also remains clean while the design and the slimness of the phone are clearly visible. The scratch resistant coating that it has works wonders. Sales Package contains one(1) back cover The model number is MIRR-LD-991106 it is Designed for XIAOMI REDMI Y1 Brand Transparent perfectly suitable for mobile material rubber, no theme, Back cover type. ← Shaadi Mein Zaroor Aana movie offers and 100% cashback options! !